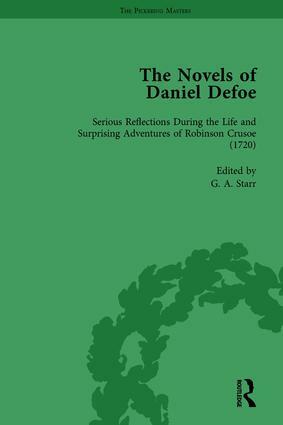 Daniel Defoe is known as the father of the English novel. This is the modern critical edition of Defoe's novels. It brings together all three parts of "Robinson Crusoe" and examines their relationship. The editorial material includes an introduction to each novel, explanatory endnotes, textual notes, and a consolidated index in volume 10.